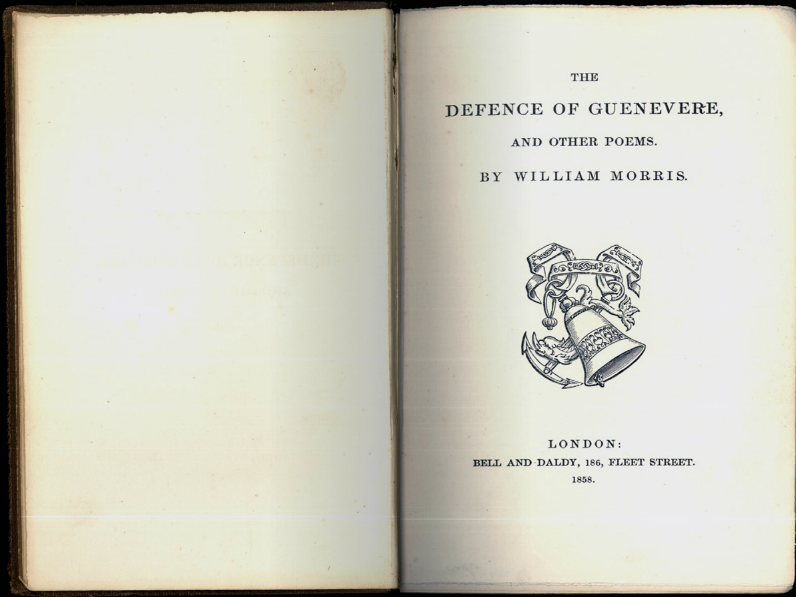 William Morris’s ‘The Defence of Guenevere and Other Poems’: a neglected classic? 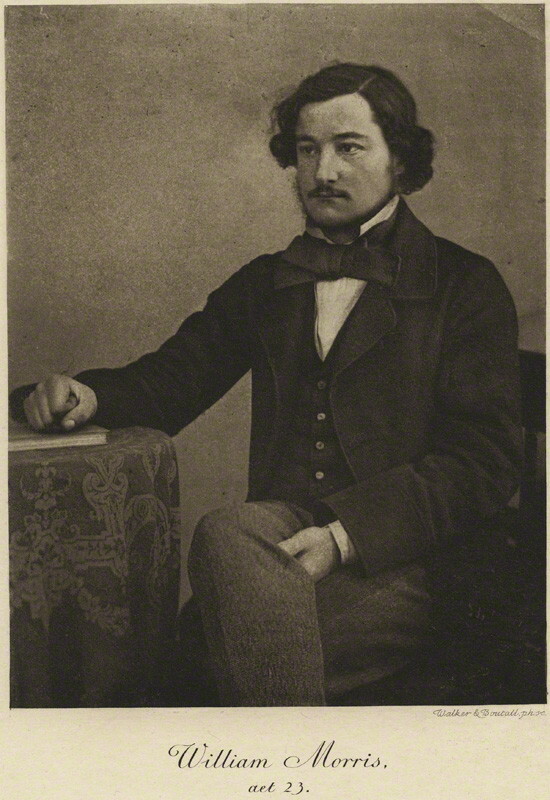 William Morris in his early 20s, photographed by Walker & Boutall, 1855-7. Source: National Portrait Gallery. Victorian poetry is still widely studied in schools and universities in the UK. Tennyson, Christina Rossetti, Robert and Elizabeth Barrett Browning, Gerard Manley Hopkins, Thomas Hardy and Lewis Carroll usually crop up somewhere, and particular poems, such as Tennyson’s ‘Lady of Shalott’, Rossetti’s ‘Goblin Market’, Robert Browning’s ‘My Last Duchess’ and Hardy’s ‘The Darkling Thrush’, have entered the public imagination. But where, I tentatively ask, is William Morris? Certainly his visual art gets recognised — I remember a friend at undergrad telling me she studied Morris patterns in school art lessons — and more recently his wide-reaching political ideals were the subject of the National Portrait Gallery’s Anarchy and Beauty exhibition. The poetry for which he was equally well-known in his lifetime apparently never made the same leap into twenty-first century recognition and understanding. Today it seems many people are unaware that Morris wrote and published a prodigious amount for most of his life — so much so that after Tennyson’s death in 1892 he was offered the title of Poet Laureate, but declined. If he had accepted, perhaps things would’ve gone differently for his poetry. However, I may be completely wrong in assuming that the only people who still read Morris’s poetry today are the keen scholars and enthusiasts of Victorian, Pre-Raphaelite culture (there are a lot of us!). Title-page of the first edition of Morris’s first published book of poems, 1858. 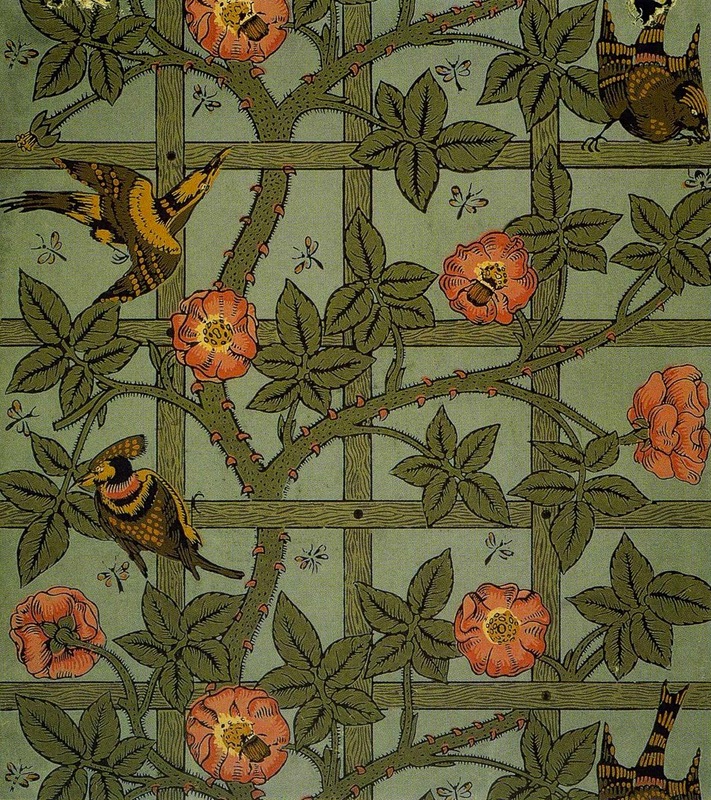 Source: William Morris Archive. Morris’s first collection, The Defence of Guenevere and Other Poems, has fast become one of my favourite books of poems by a single writer. He was only 24 years old when it was published in 1858, and had written many of the poems while an undergraduate at Exeter College, Oxford from 1852-6, and while he assisted Rossetti with the Oxford Union murals in 1857. On first entering Oxford, as is well-known, he instantly found a lifelong friend in the young Edward Burne-Jones. The two deepened their shared love of the history, architecture, art and literature of the Middle Ages, and devoured Robert Southey’s 1817 reprint of Thomas Malory’s fifteenth-century collection of Arthurian legends, Morte d’Arthur. In 1855, while visiting the house of Thomas Combe at Oxford, the young men saw their first Pre-Raphaelite paintings by Hunt, Millais and Rossetti — but it was the latter’s watercolour Dante drawing an Angel on the First Anniversary of Beatrice’s Death (1853) which enthralled them most. 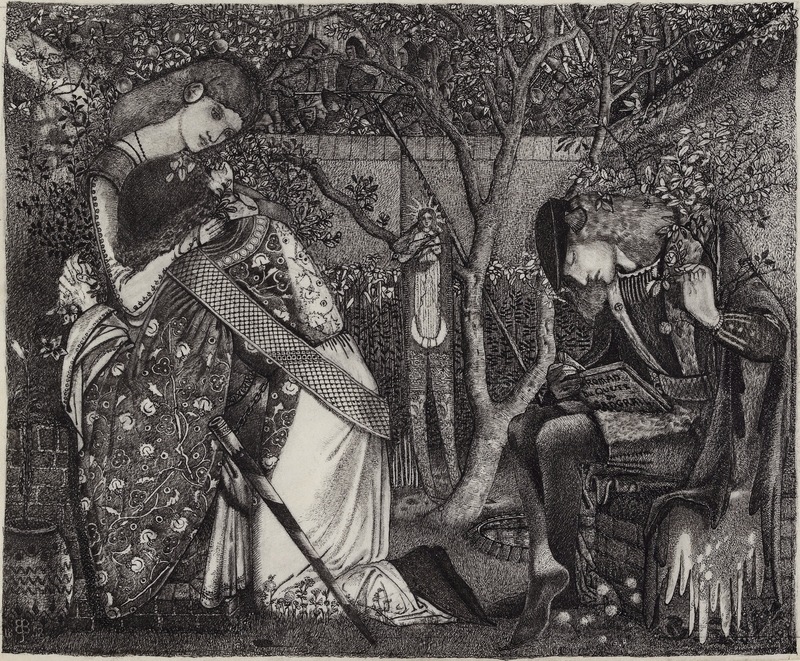 Burne-Jones was able to meet the artist in 1856, and Rossetti recruited him and Morris to paint the Arthurian murals the following year (Morris chose to depict Sir Palomides’s Jealousy of Sir Tristram and La Belle Iseult). Under these very specific conditions, in this rarefied atmosphere of high-spirited medievalism particular to Oxford in which, Georgiana Burne-Jones later recalled, ‘Edward and Morris were alone and communed with each other in their own world of imagination,’ Morris began to write poems glimmering with strange, vivid impressions of medieval life. 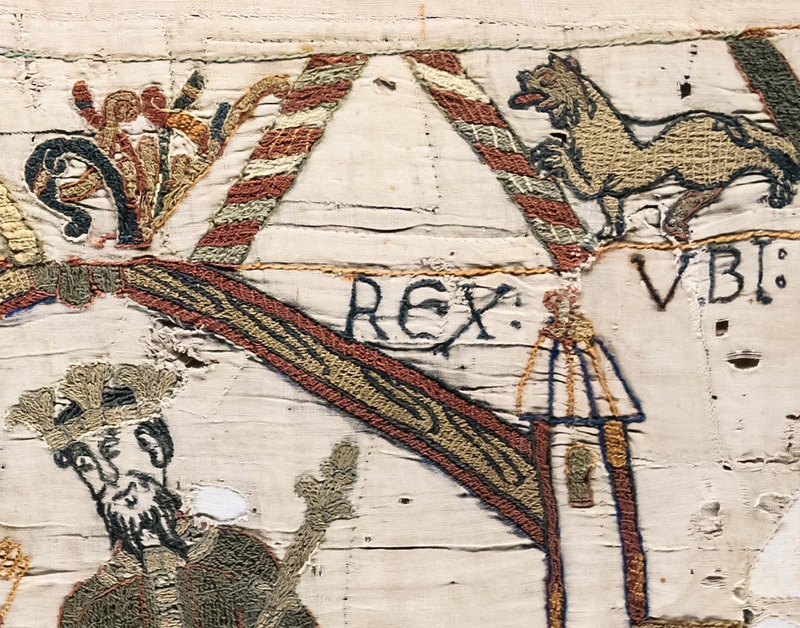 The tendency had clearly started young: as a child, apparently, he took to dressing in replica armour and riding through Epping Forest on a small pony to admire the faded tapestries in Queen Elizabeth’s Hunting Lodge. Dante Gabriel Rossetti, The Blue Closet, 1856-7. Watercolour on paper, 35.4 x 26 cm. Tate. For some reason I find the poem titles as beautiful as the poems themselves, establishing an alliterative, sing-song, fairy tale quality from the outset: ‘Sir Galahad: A Christmas Mystery’, ‘Rapunzel’, ‘The Gilliflower of Gold’, ‘The Eve of Crecy’, ‘The Little Tower’, ‘The Blue Closet’, ‘The Tune of Seven Towers’, ‘Golden Wings’, ‘Two Red Roses Across the Moon’, and so on. Already an enigmatic, dreamlike atmosphere suggests itself — for we wonder what on earth is a gilliflower of gold, or a blue closet, or a tune of seven towers? What would the tune of seven towers sound like? Perhaps the word ‘suggests’ is the most important here: these poems rarely reveal everything at once, but often remain tantalisingly elusive, withholding solutions, even at their end. They are more like mood-pieces than articulations of particular narratives — as if, instead of simply retelling the types of chivalric stories Morris found in Malory’s Morte d’Arthur, he was keen to evoke the colours, sounds and emotions one might experience inside a medieval romance. Indeed, his characters are often entrapped or enclosed in mysterious, isolated locations — an castle on the sea, a tower in a thick wood, a ruined chapel at night — and the reader is drawn momentarily in with them. The general tone, then, is akin to Pre-Raphaelite visual art of the mid-to-late 1850s, especially the watercolours and drawings of Rossetti and Burne-Jones which also act as windows onto imagined medieval worlds populated with melancholy knights, damozels and courtiers. The Rossetti watercolour above, The Blue Closet, directly inspired the Morris poem of the same name, and Morris actually dedicated The Defence of Guenevere and Other Poems to Rossetti. Edward Burne-Jones, The Knight’s Farewell, 1858. Pen and ink on vellum, 17.6 x 24.2 cm.. Ashmolean Museum, Oxford. Dante Gabriel Rossetti, The Tune of the Seven Towers, 1857. Watercolour on paper, 31.4 x 36.5 cm. Tate. And the lead roof heavy and grey? Long hair in the wind afloat. Of glittering spears — will you go alone? Will pray that you may not die. What, then, can we be certain of in this poem? Already the opening images of ‘desolate battlements’, ‘the lead roof heavy and grey’ and ‘white moonlight’ in which ‘white ghosts walk in a row’ do not fit with the rich, glowing colours of Rossetti’s watercolour. In stanza 4 there is a subtle shift from a third-person to a first-person narrator, though their speech is not in speech marks: ‘If he will go to it now, / He must go to it all alone, / […] Will you go alone?’ The remaining stanzas are apparently spoken by this unnamed woman, whom we might take to be the lady in red sitting in the peculiar chair in Rossetti’s Seven Towers; while Oliver, the man she addresses, is surely the figure dressed in green and gold sitting mournfully beside her. Again, we can’t be certain of this. In stanza 5 the lady engages Oliver on some sort of quest to retrieve her coif and her kirtle ‘with pearls arow’; if he does go, she says in the next stanza, she and the priests will pray he may not die. In the final stanza she promises to kiss him if he returns — but he apparently does not, and after a rather cinematic cutaway shot in parentheses of ‘(The graves stand grey in a row)’ she cries ‘Oliver, hold me fast!’ and the poem ends. Has he died? Has she died? Have they now become the white ghosts mentioned at the start, sitting by the edge of the moat with ‘long hair in the wind afloat’? Or were they always ghosts, doomed forever to enact the same empty ritual? The refrain at the end of each stanza (a common feature of Morris’s poems), ‘ “Therefore/Listen!” said Fair Yoland of the flowers, / This is the tune of Seven Towers.”‘ gives no clues. William Morris, La Belle Iseult, 1857-8. Oil on canvas, 71.8 50.2 cm. Tate. In today’s age of clear-cut answers and thirsted-for fact, ‘The Tune of Seven Towers’ and the other poems in Morris’s Defence of Guenevere are self-contained mysteries which repay quiet, contemplative readings and re-readings. Some do have more of a narrative focus: the title poem, ‘The Defence of Guenevere’, was inspired by Robert Browning’s psychological dramatic monologues and is told from the perspective of Queen Guenevere as she recounts her affair with Sir Launcelot in a long speech of self-vindication. Its prominence within the collection led to Morris’s only surviving easel painting, La Belle Iseult (above) being frequently mis-titled as Queen Guenevere over the years. Admittedly I’m a fan of literary works with ambiguities and open-endings — the two examples I always use are Henry James’s The Turn of the Screw and Joan Lindsay’s novel/Peter Weir’s film Picnic at Hanging Rock, both of which resist the traditional tell-all ending and are all the more memorable for it (people still speculate what ‘went on’ with the governess; people will always be wondering what on earth happened to the three schoolgirls and their teacher on Hanging Rock). 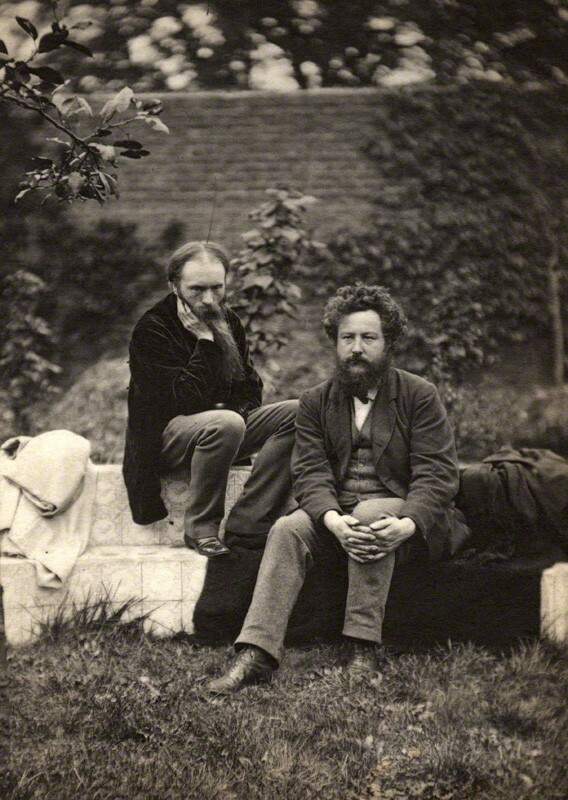 Edward Burne-Jones (left) and William Morris, photographed by Frederick Hollyer in 1874. Platinum print. National Portrait Gallery. Victorian critics were mostly baffled by, and disparaging of Morris’s book. In April 1858 the Athenaeum rejected Morris’s ‘book of Pre-Raphaelite minstrelsy as a curiosity which shows how far affectation may mislead an earnest man towards the fog-land of Art.’ To add to this, the work was not a commercial success — although, as Dinah Roe points out, contemporary observers did identify it as the first book of Pre-Raphaelite poetry. In 1933 Laurence Houseman (brother of A. E.) published a lecture he had given in 1929, titled ‘Pre-Raphaelitism in Art and Poetry’. Describing a passage from Morris’s ‘Sir Peter Harpdon’s End’, he declares: ‘This is your Pre-Raphaelite picture, with its strange blend of detailed externality and intense inwardness of feeling.’ Near the end he singles out The Defence of Guenevere and Other Poems, ‘partly because I think its beauty is insufficiently recognised, partly because in no other does the spirit of the Pre-Raphaelite movement so clearly declare itself.’ The book therefore stands as an important landmark in English poetry as the first cohesive literary product of an art movement whose influence is still felt today. I felt the evening dew. The fathoms of my hair. William Morris and D. G. Rossetti, Glorious Guendolen’s Golden Hair, c. 1856-7. Painted chair. Delaware Art Museum. It seems to me that when Yule-time draws near, details of Pre-Raphaelite paintings appear frequently on greetings cards, Christmas carol CD covers and probably tea towels (Pre-Raphaelitism and tea towels have apparently been closely associated for some years). I say this as if it’s some bad thing; I’m perfectly happy to see all the Burne-Jones stained-glass angels and Rossetti maid-musicians that ever were. 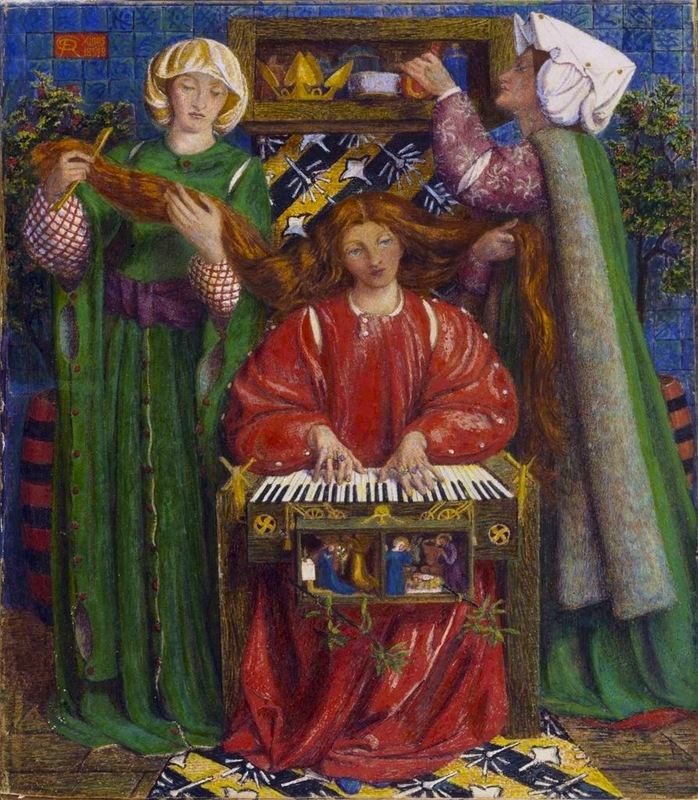 There’s something quite Pre-Raphaelite about an English winter: the revived medieval traditions of carols and Yule logs; the warm Christmas colour-palette of green, red and gold reminiscent of the tones of Rossetti’s watercolours; the more gothic quality of dark evenings, cold nights and ghost stories. One of my favourite pieces of trivia is, of course, that Christina Rossetti wrote the original poem of ‘In the Bleak Midwinter’ (though I can never remember who set it to music or when). 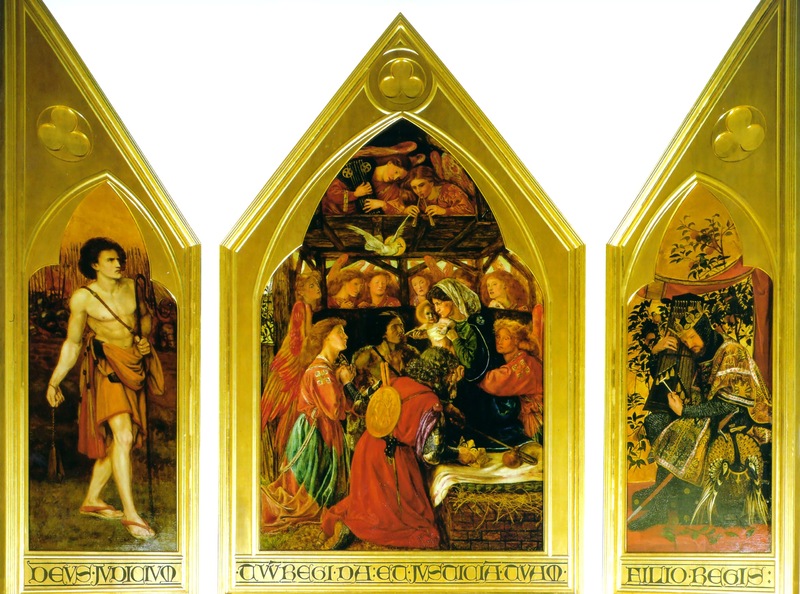 Here I thought I’d share a trio of Dante Gabriel Rossetti paintings with a Christmas setting or theme. There are two pictures by Rossetti titled A Christmas Carol. The first (below) is one of his rich watercolours of medieval subjects from the 1850s. Its ‘Xmas 1857-58’ inscription places it in the timescale of the Arthurian mural project at the Oxford Union in 1857-59, which saw a resurgence of high-spirited medievalism in the Pre-Raphaelite programme and brought Rossetti, William Morris and Edward Burne-Jones closer together as artists. Elizabeth Siddal modelled for the central figure, a queen whose flowing auburn hair must surely hold a record for some of the longest locks in Pre-Raphaelite art. Dressed in a scarlet gown, she is seated in a curious piece of composite furniture which combines a simple clavichord and, overhead, a cupboard or shelf cluttered with bottles and a crown (presumably the clavichord can be removed, otherwise she’d have trouble actually getting out of the chair!). 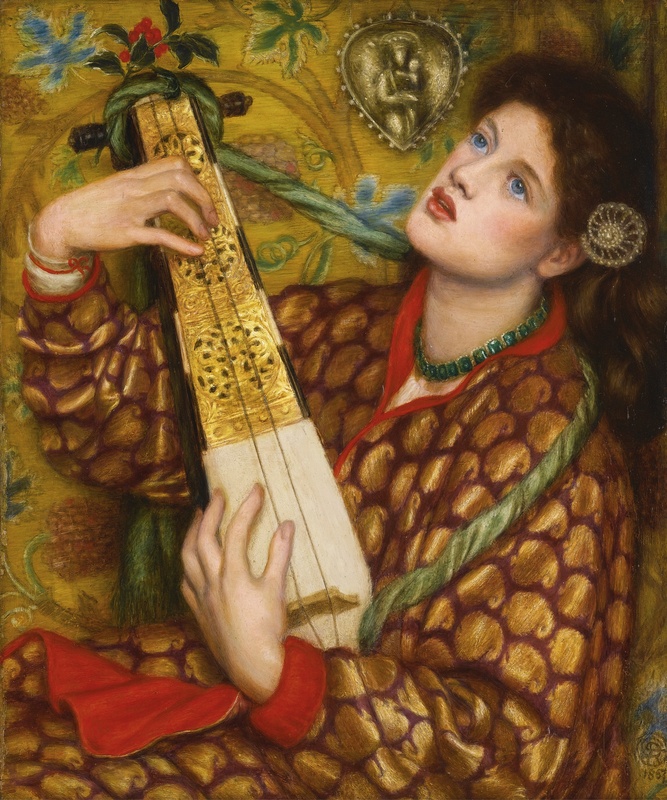 Her long fingers are about to depress the keys of the clavichord, leading to the suggestion or anticipation of music frequent throughout Rossetti’s art; note also the dreamy, far-away expression of her face, which implies that she plays her music absentmindedly or unconsciously. Meanwhile, her two handmaids wearing purple and green attend to her copious hair, one running a comb through it and the other reaching for a toilette bottle. The mistletoe, the Nativity scenes in the style of an illuminated manuscript decorating the front of the clavichord — which, close observation reveals, seem to be small figurines set in a shallow box — and the thin holly bushes in large pots on either side, indicate the time of year. Dante Gabriel Rossetti, ‘A Christmas Carol’, dated ‘Xmas 1857-8’. Watercolour on paper. Fogg Art Museum, Harvard University. As the combs went in her hair. Bring us to thy Son’s sight. The rest of the poem, which seems to retell the Nativity, is not a direct representation in verse of Rossetti’s Christmas Carol. Rather, Swinburne uses the Rossetti as the loose starting-point for his own poetic fantasy. Dante Gabriel Rossetti, ‘A Christmas Carol’, 1867. Oil on panel. Sold at Sotheby’s in December 2013 for £4,562,500. Rossetti’s other Christmas Carol (above) came into the limelight again just over a year ago when it was sold at auction at Sotheby’s. In the 1860s Rossetti moved away from medievalist watercolours to paint his opulent half-length portraits of luxuriant women — here a laundress named Ellen Smith, ‘discovered’ by Rossetti in 1863. Still, like the earlier painting the coupling of music and femininity is a prominent theme; then a clavichord, now a gilded stringed instrument and her voice singing, according to Rossetti’s studio assistant Henry Treffry Dunn, ‘Hodie Jesu Christus natus est Hallelujah‘ (‘Today is Jesus Christ born, Hallelujah,’ presumably derived from a 17th-century Christmas song by Jan Sweelinck). It can thus be compared to other Rossettis of women playing stringed instruments, such as The Blue Bower (1865), La Ghirlandata (1873) and Veronica Veronese (1872). It is worth to also noting the frame of the painting (detail below; Rossetti usually designed his frames himself), inscribed with a quotation from an early English Christmas carol which Rossetti had translated and compiled for a small booklet, Ancient Christmas Carols (c. 1850). The emphasis in this inscription and in the woman’s song on the birth of Christ is echoed in the gold pendant hanging beside the woman’s head, adorned with an image of Virgin and Child. Once again, like the earlier picture, holly is used to signify Christmastime, and the painting is an exercise in balancing rich warm colours and layers of pattern with musical elements. Completing this trio of Rossetti paintings is The Blue Closet (below), which could easily be viewed as a pendant piece to the first Christmas Carol picture. Something about The Blue Closet particularly resonates with me — its symmetrical pairs of figures, its aural elements of bells and song, its lack of identifiable subject matter, and its harmonious balance of purples, greens, blues, whites and golds (like an arrangement of music), all combine for an enigmatic, even claustrophobic effect. Rossetti himself simply and elusively described the picture as ‘some people playing music.’ Then there’s William Morris’s beautiful and equally dreamy poem, inspired by the watercolour, which does overlay a loose narrative on the painting and its pictorial details — though Morris, like Rossetti, was often more interested in conveying a particular mood and series of emotions, and his poem is a separate work of art in its own right. (See a reduced version below.) But the Christmas setting is apparent in the holly adorning the strange, hybrid musical instrument. Some similarities between this picture and the 1857 A Christmas Carol are the recurring background of blue tiles painted in both instances with curious symbols, and the sidelong poses of the right-hand attendant in A Christmas Carol and the gold-crowned queen plucking the strings in The Blue Closet — perhaps an indication that Rossetti reused his sketches and models in A Christmas Carol. Dante Gabriel Rossetti, ‘The Blue Closet’, 1856-57. Watercolour on paper. Tate. To sing in the Closet Blue one song. For he was strong in the land of the dead. 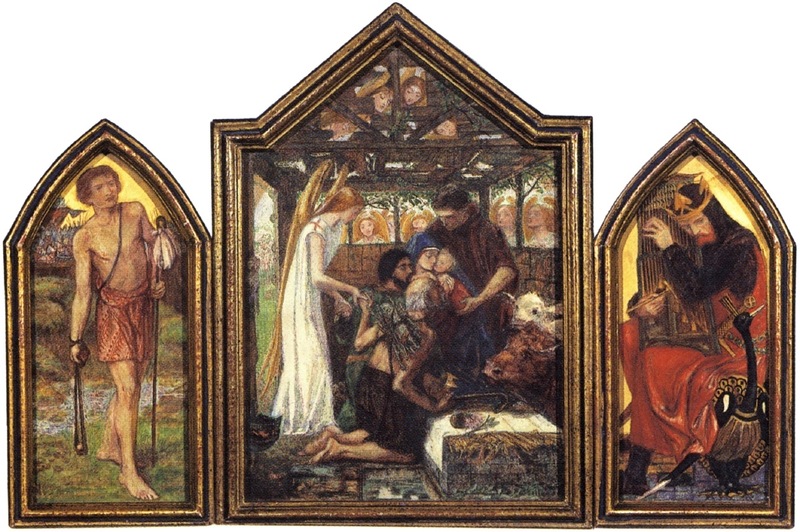 I realise there are other Rossetti works which could be included — The Seed of David, an altarpiece commissioned for Llandaff Cathedral, Cardiff, which depicts a nativity scene (below) — but this post is long enough as it is! If anything, I hope I’ve illustrated that there’s much more to be said about these works by DGR which, though very beautiful, have more interpretations and insights to yield. In the meantime, I hope my readers have a very happy Christmas and a great start to the New Year. Christmas Pre-Raphaelite! Dante Gabriel Rossetti, ‘The Seed of David’, 1856. Watercolour design for the Llandaff Cathedral altarpiece. Dante Gabriel Rossetti, ‘The Seed of David’, 1858-64. Oil on panel. Llandaff Cathedral, Cardiff. The full text of William Morris’s ‘The Blue Closet’ on The Victorian Web. 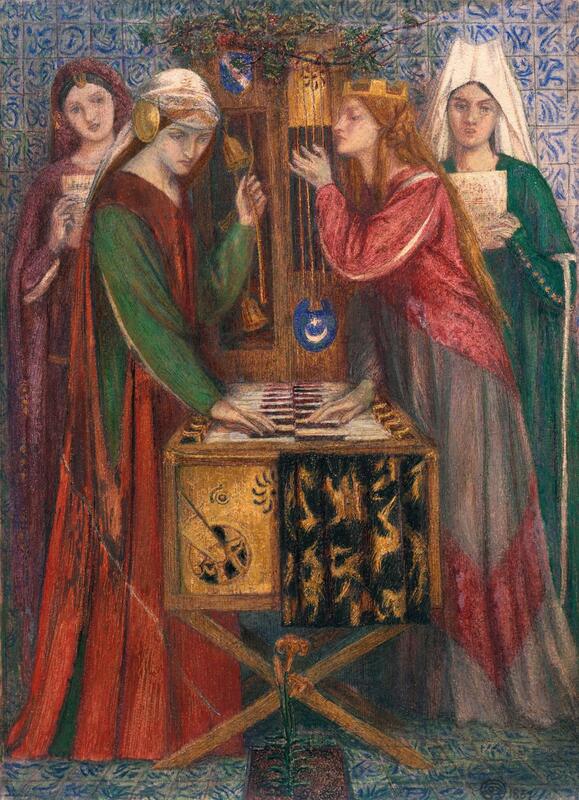 The full text of Swinburne’s poem ‘A Christmas Carol’, inspired by the Rossetti watercolour. ‘Hodie Christus Natus Est’, the song apparently sung by the lady in the oil painting A Christmas Carol, as performed by the Choir of Trinity College, Cambridge. 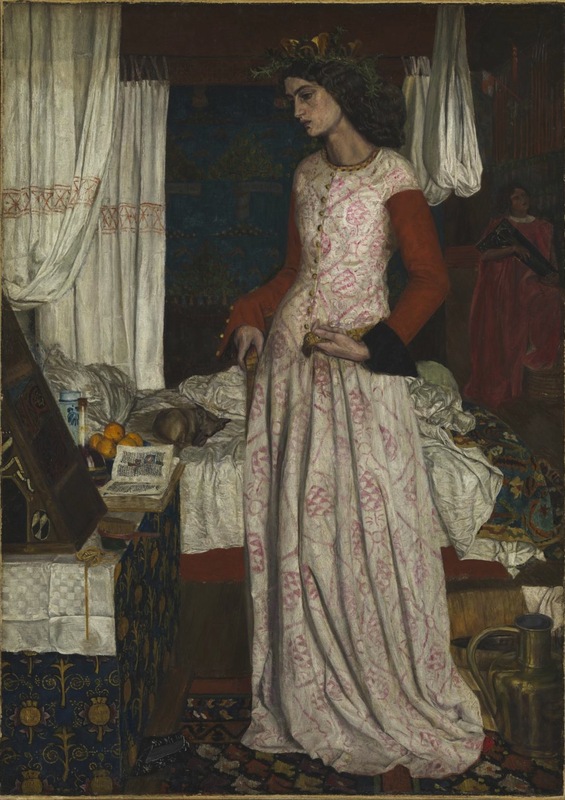 The year after William Morris finished La Belle Iseult, his only known easel painting, he married its model. Jane Burden was famously ‘discovered’ by Dante Gabriel Rossetti and Edward Burne-Jones in an Oxford theatre in 1857 — they were out looking for a new ‘stunner’ to model for the Arthurian-themed murals at the Oxford Union, and Jane’s unusual, almost exotic beauty resulted in her modelling as Queen Guenevere. 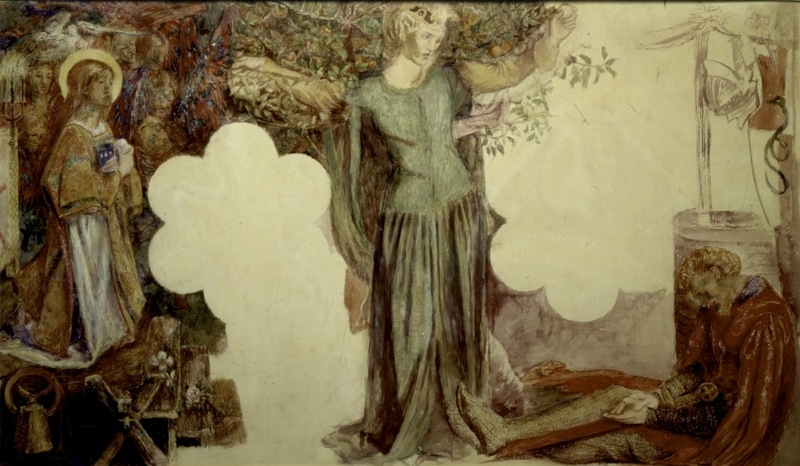 Today the murals are faded and murky thanks to the young Pre-Raphaelites’ total naivety when it came to wall-painting, but Rossetti’s watercolour study gives an idea of the overall composition and shows Jane posing as Guenevere appearing in a vision to Sir Launcelot, the knight whose sinful, adulterous affair with the queen prevented him from attaining the Holy Grail. Dante Gabriel Rossetti, ‘Sir Launcelot’s Vision of the Sanc Grael’, 1857. Unfinished watercolour study for the Oxford Union mural. William Morris, who was also involved in the ‘jovial campaign’ of the Oxford mural project, soon fell hopelessly in love with Jane and started painting La Belle Iseult in the same year as her being scouted. Morris proposed to her in the spring of 1858 and they were wed in Oxford in April 1859. 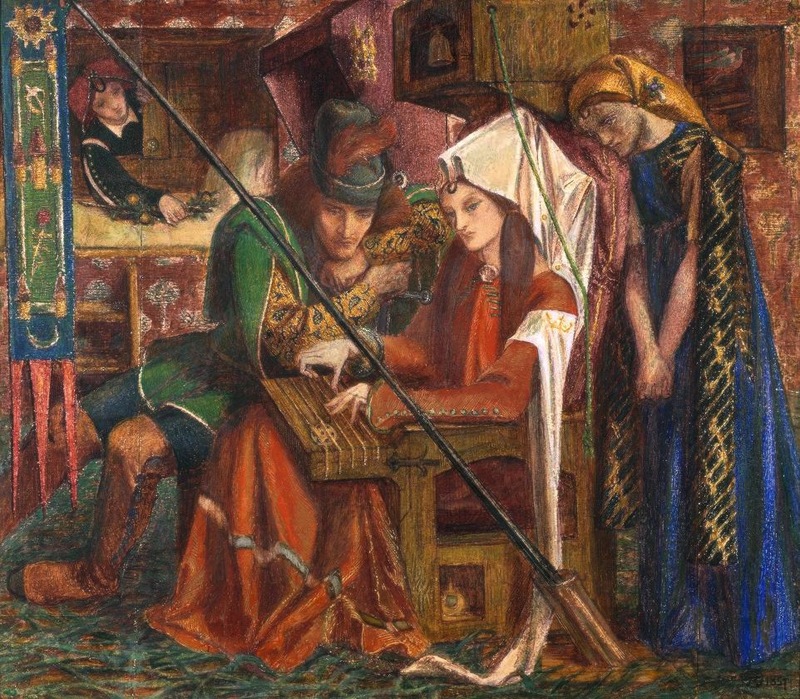 The painting is thus an important part of their courtship, though its subject matter — Thomas Malory’s version of the Tristram and Iseult legend — uncannily echoes later events in William and Jane’s marriage: like Iseult’s adulterous relationship with Tristram, Jane later had an affair with Dante Gabriel Rossetti and later admitted that she had never truly loved her husband. 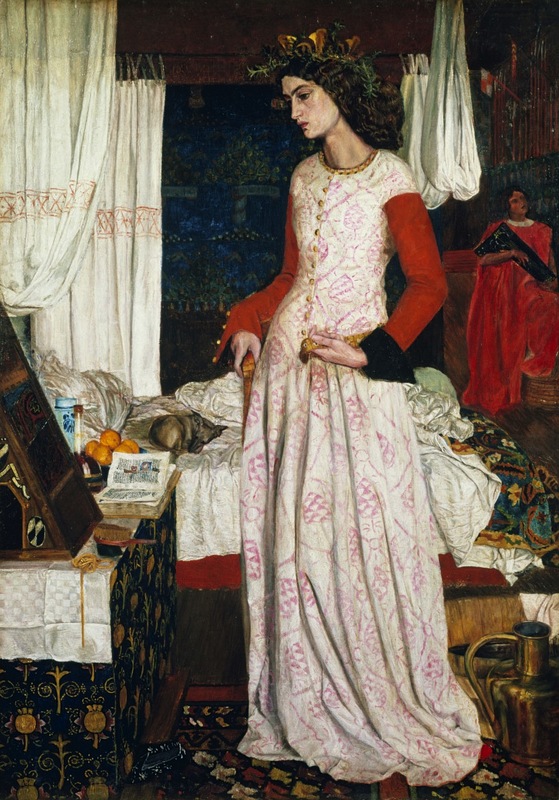 Morris’s painting depicts Iseult confined to her chamber and mourning her lover’s exile from her husband King Mark’s court; the girdle she fits around her waist symbolises a kind of enforced chastity. Her crown is garlanded with rosemary, symbolising remembrance, and convolvulus, representing ‘bonds or attachment’. Confusingly, the picture is often alternatively titled Queen Guenevere and it was exhibited under that name in the Morris memorial exhibition of 1897, but despite the similar themes of adultery in those two Arthurian stories the woman in the painting is now thought to be Iseult. 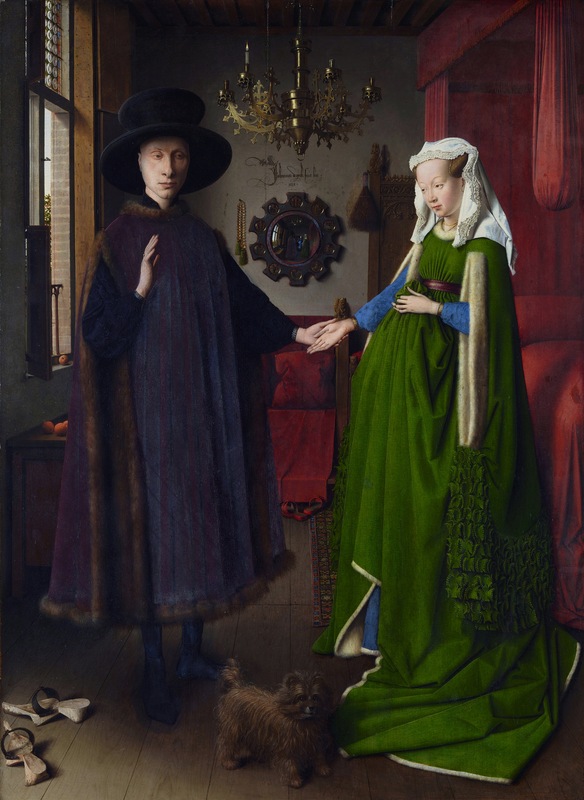 Alison Smith has also noted that the painting is one of several Pre-Raphaelite works to be influenced by Jan van Eyck’s fifteenth-century masterpiece The Arnolfini Portrait. It was purchased by the National Gallery in 1842 and undoubtedly must have impressed the PRB: its meticulous detail, rich colours, shallow non-High Renaissance perspective and late-medieval feel was echoed in Pre-Raphaelite paintings. Certain elements of the Van Eyck crop up in La Belle Iseult, such as the bed, the oranges, the little dog and the shoes on the floor; there is even perhaps some similarity between the poses of the two women, though this might be tenuous. 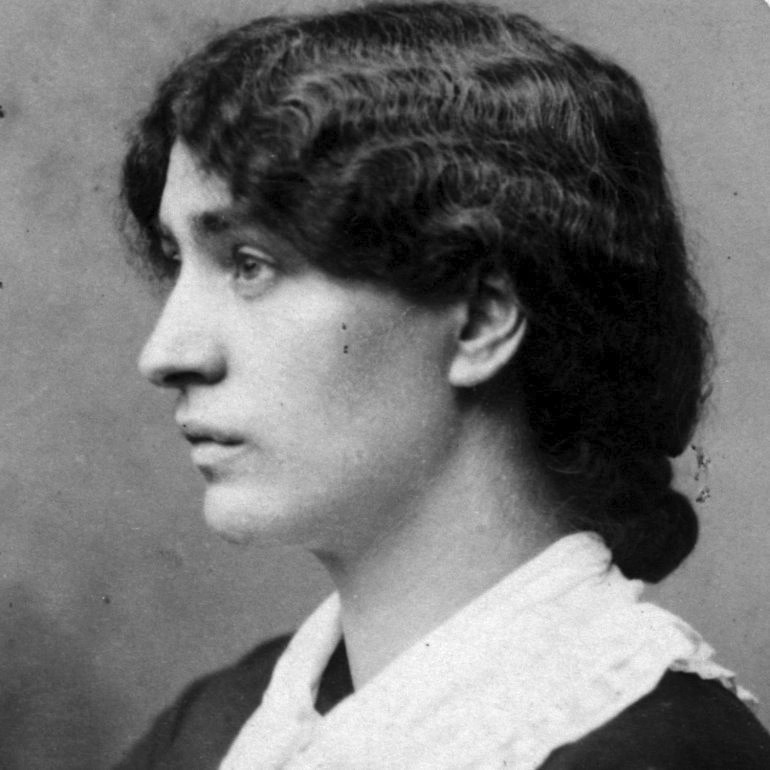 As an interesting side-note, the real-life counterpart of the dishevelled bed in La Belle Iseult stood unmade, sheets crumpled, for several months in Morris’s rooms in Red Lion Square, London, while he worked on the picture. Such was that Pre-Raphaelite truth to nature! Jan van Eyck, ‘The Arnolfini Portrait’, 1434. Not necessarily a painting of a marriage scene, as is often thought. Morris apparently disliked his painting and was clearly frustrated at his attempts to achieve anatomical accuracy. The popular legend goes that Morris, feeling a little dejected, wrote a message to Jane on the back of the canvas: ‘I cannot paint you but I love you.’ Rather sweet, and whenever I see the painting in real life I have to stop myself from taking it off the wall and flipping it over to see if Morris’s words are still there! I personally like the painting, especially since William is clearly indulging (and indeed excelling) in the more decorative elements of the picture: the patterns on the beside table, Iseult’s dress and the back wall are like a designer’s early work-in-progress. 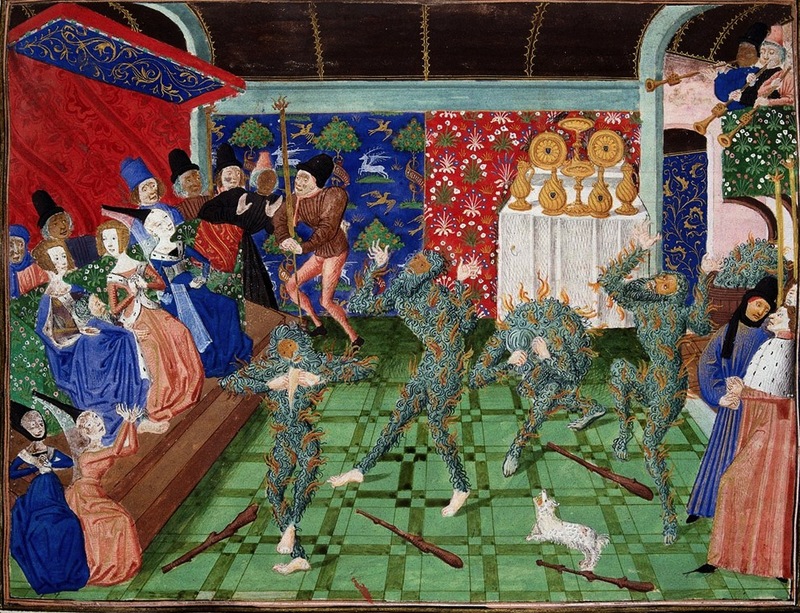 They also recall the patterns found in the fourteenth-century French Chronicles by Jean Froissart which Morris encountered as an Oxford undergraduate in the early 1850s; one of its gorgeous miniature illustrations later inspired his Daisy pattern. Finally, what about Jane herself? Surviving photographs of her — of which there are many, unlike Elizabeth Siddal — clearly show that she really was as unusual-looking in real life as she was in the paintings of her. She was the daughter of an Oxford stableman, born and raised in a house down a tiny passage near the Turf Tavern (today a commemorative blue plaque can be seen on the wall just before one reaches the pub); like Fanny Cornforth, then, she came from rather lowly origins to be exalted and loved by a group of bohemian middle-class artists. With her willowy limbs, heavy, almost masculine features and wavy raven hair, she was often described as being rather aloof, distant, enigmatic to the point of unearthliness. She seemed to offer a dark, exotic alternative to the red-golden-haired Elizabeth Siddal, and there is a certain solidity to Jane’s physiognomy which contrasts with the delicate ethereality of Lizzie. It’s easy to see why the unconventional Pre-Raphaelites were so drawn to her aura of unconventionality. Certainly, Morris does not quite capture this in La Belle Iseult as effectively as Rossetti did, but at least he tried: in my opinion, it is a lovely effort. 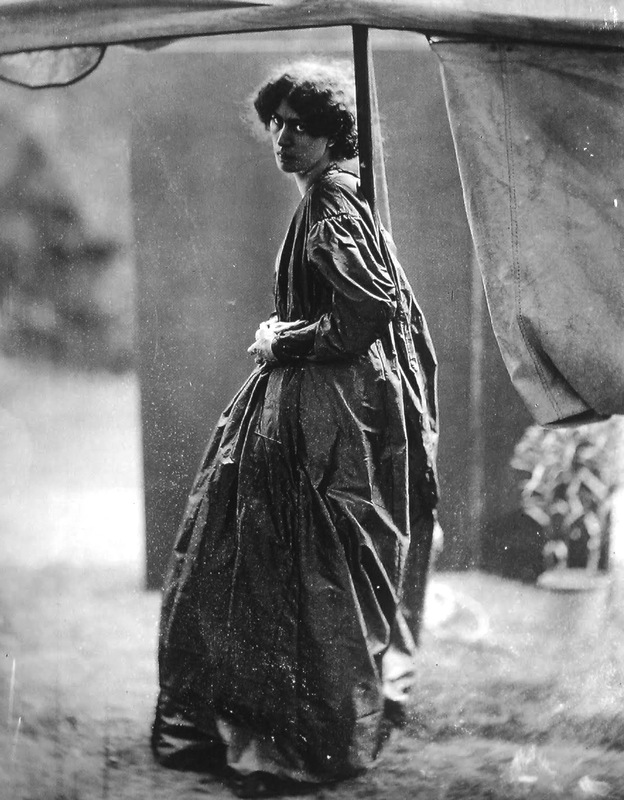 John R. Parsons with Dante Gabriel Rossetti, photograph of Jane Morris, 1865. From a series of photographic studies of Jane, portraying her as an unearthly Pre-Raphaelite beauty. La Belle Iseult on the Tate website. It was strange to encounter William Morris’s bed in a room of Tate Britain’s recent Pre-Raphaelite exhibition, the seventh room, called ‘Paradise’; strange, like meeting an old friend in an unexpected place. 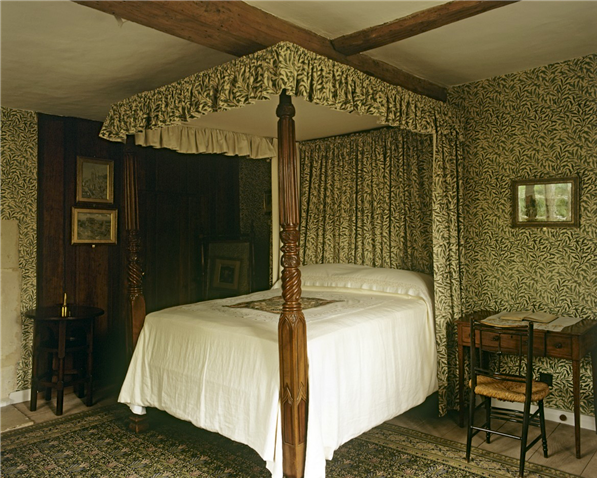 I had seen the bed twice before at Kelmscott Manor in Oxfordshire, sitting comfortably in the cosy room from which it hadn’t been moved since it was first put there centuries ago. Now, specially for this exhibition, it had been carefully dismantled for the first time and reassembled in a London gallery. A seventeenth-century oak four-poster bed from a peaceful old manor in an obscure, rural village suddenly transported into the metropolis, the pastoral meeting with the urban. But its inclusion in the exhibition was well deserved. Really, as far as beds go it’s perfectly lovely, and every time I saw it I found myself envying Morris for being able to snuggle beneath its covers o’ nights. (I also envied Morris for being able to live in such a beautiful house!) What makes it so special is, of course, the gorgeous embroidered bedspread, pelmet and curtains. It was a collaborative venture between Morris’s wife Jane, his daughter May, Lily Yeats (sister of William Butler), and two women named Maude Deacon and Ellen Wright who came from Hammersmith where Morris had his London home. The pelmet and curtains were embroidered from 1891-93, while the bedspread was not made until 1910, some years after Morris’s death. 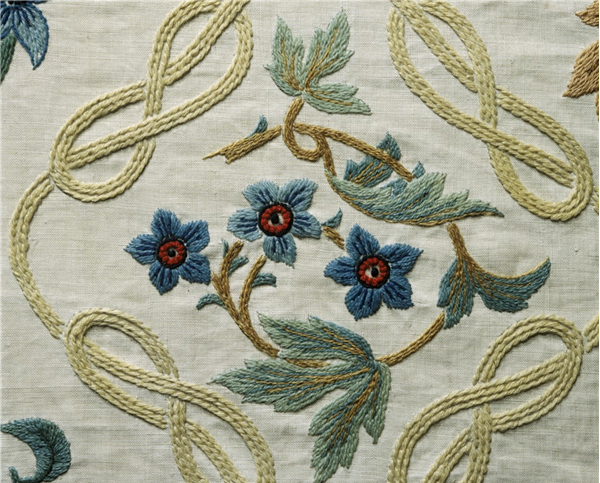 As a whole the bed is a fine example of women collaborating in the Arts and Crafts style, and a testament to the Morris ladies’ skill with a needle and thread (May was made head of the Embroidery Department at Morris & Co. in 1885). The overall tone and theme of the bed is rural, like the manor, and this is down to May Morris’s talents as a designer like her father. Alison Smith notes that May’s designs for the embroideries are ‘characterised by clear structures with stylised natural features contained within geometrical frameworks.’ The bedcover is a meadow, with small bouquets of wildflowers like embroidered botanical drawings set in an intricate network of twisting yellow borders; tiny birds and insects can be seen resting and crawling around the edges as if in hedgerows. To me, these creatures are rather like those which nestle in the margins of the Bayeux Tapestry or medieval manuscripts. Also running along the edge of the bedcover is a stylised depiction of the River Thames, which flowed past the house, ending at a small embroidered miniature by Jane Morris of the manor itself. An important bed, to have a poem written about how comfortable and comforting it is! 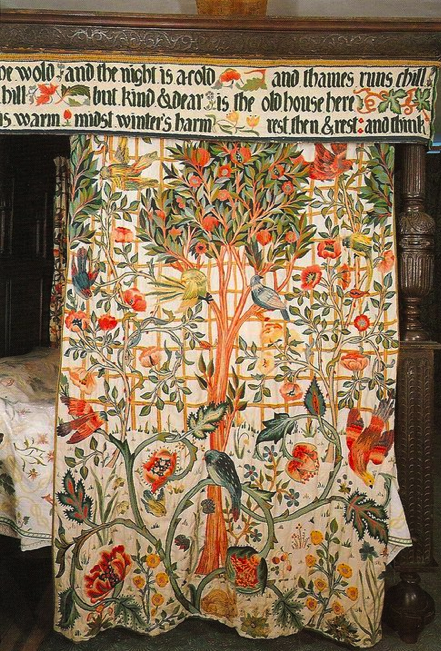 The third and most intricate, verdurous piece of embroidery is the bed curtains, which both portray a trellis twined with red roses and a fruit tree. Songbirds flutter among the leaves, and a brown rabbit crouches beneath. The design echoes William Morris’s Trellis wallpaper of 1862, though Alison Smith also likens it to the medieval tapestries in the Musée Cluny (the famous Lady and the Unicorn series), photographs of which May Morris owned. 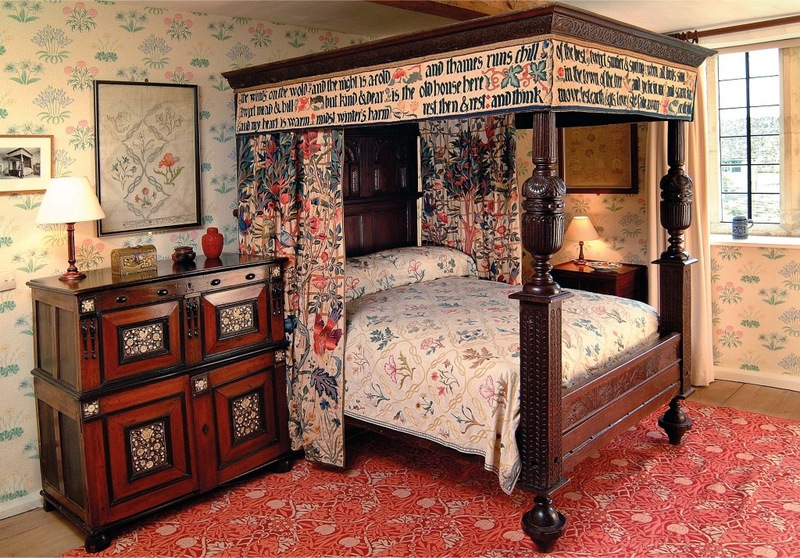 The bed fits perfectly into the bucolic, artistic atmosphere of Kelmscott Manor. William Morris first discovered it, much to his delight, in 1871, and he took on a joint tenancy with Dante Gabriel Rossetti. The house itself is Elizabethan and rustic, something from a picture book: the river running by, slate floors, a panelled drawing-room, a creaking staircase, original seventeenth-century tapestries and a barn-like attic complete with quaint garrett rooms. Beyond the garden wall is the small village which even today lies hidden away down a series of winding country lanes with all its Cotswold-stone houses untouched by modernisation. For Morris the homely house and village embodied his ideal of rural living in which men and woman harmonised with nature and indulged in labour that was meant to be pleasurable rather than a chore. He wrote News from Nowhere in 1890 as a way of expounding his vision of an ideal society two centuries in the future. It is an idealistic, utopian novel which pastiches medieval romances and combines Socialism with soft science fiction (though don’t expect Doctor Who-style time travel). Kelmscott Manor features in the final chapters as the finishing-point of the hero’s journey along the Thames from London to the countryside. Morris’s fondness for the house shines through in the rich, descriptive prose, and when one visits the house one can still sense his warm presence in the willows, the stones, and even in the ancient yet cosy bed embroidered with birds and roses by his wife and daughter. After his death in 1896 Morris was buried in the graveyard of St George’s Church in Kelmscott, leaving behind him an artistic legacy influential to this day. Expect to see more of Kelmscott on this blog! 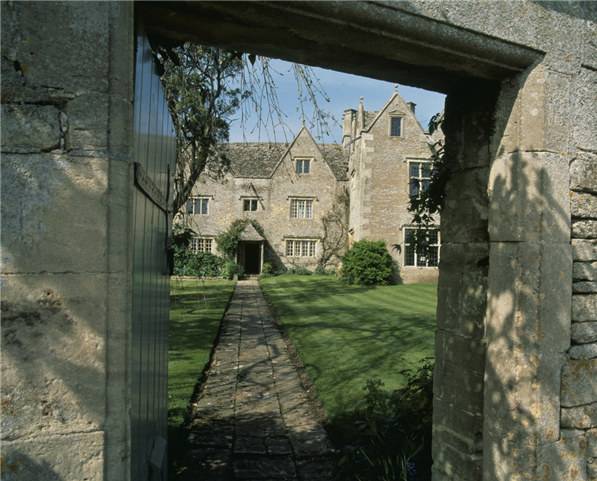 Kelmscott Manor viewed through the front gate. Picture from the Country Life Picture Library. Jane Morris’s bedroom at Kelmscott Manor. Picture from the Country Life Picture Library. 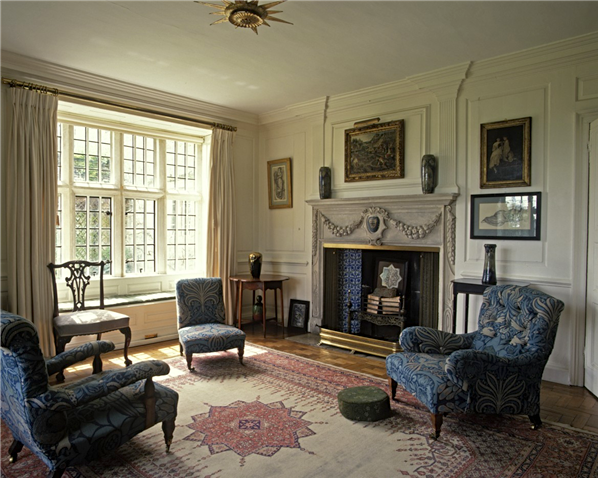 Panelled drawing-room of Kelmscott Manor. Picture from the Country Life Picture Library.